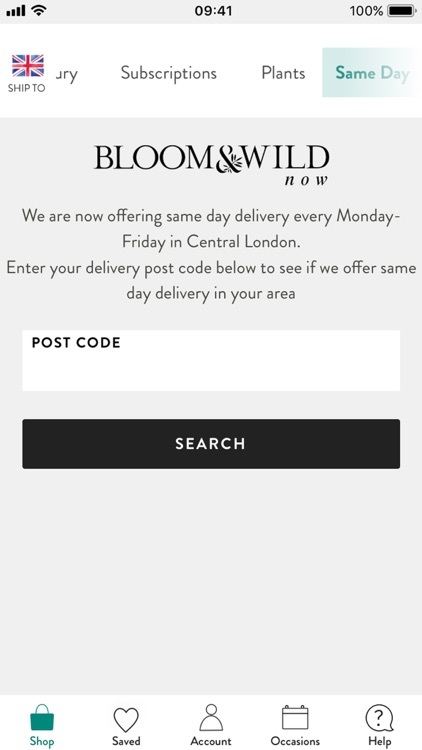 Bloom & Wild Flowers lets you order bouquets and more to be delivered in the U.K. with next-day delivery. Choose from seasonal blooms or pick the perfect bouquet. 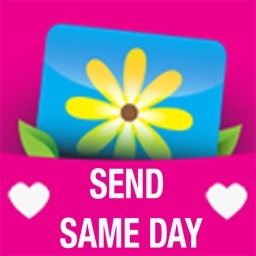 Revolutionising flower delivery with our innovative letterbox flowers was fun, but why stop there? 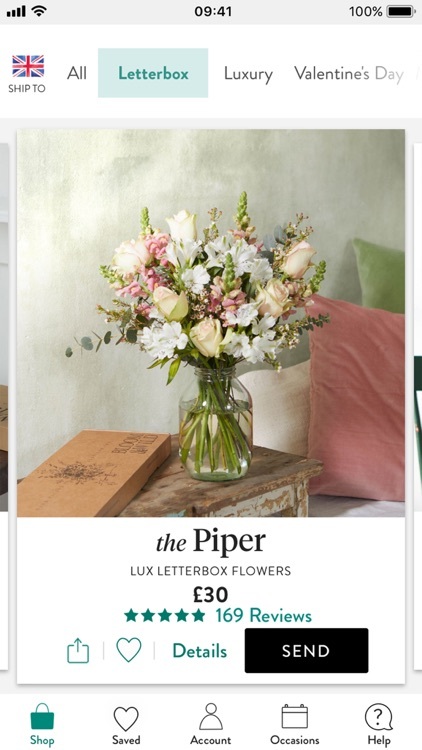 Bloom & Wild are delighted to now offer letterbox gifts, luxury hand-tied bouquets, and much, much more. 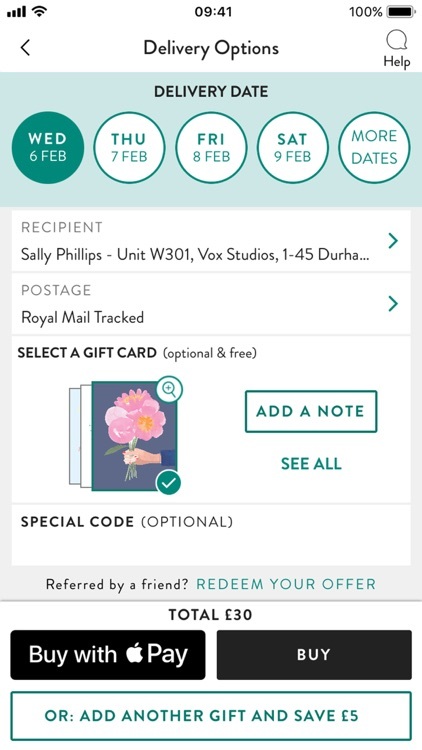 Use our phone and ipad flower delivery app to send flowers or letterbox gifts and enjoy 15% off your first app order with code ‘APPONLY’. 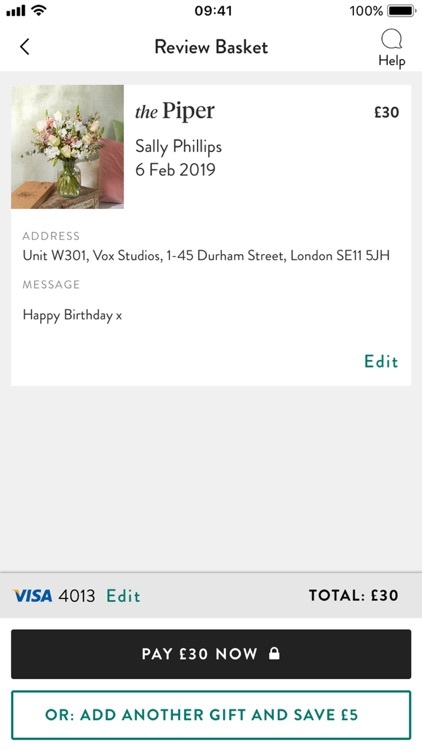 This offer is exclusively for our phone and ipad app users, so download our flower delivery app now and have beautiful florist-designed flowers delivered to your favourite person (or people). We even do free next day delivery. HOW ARE YOUR FLOWERS DELIVERED? 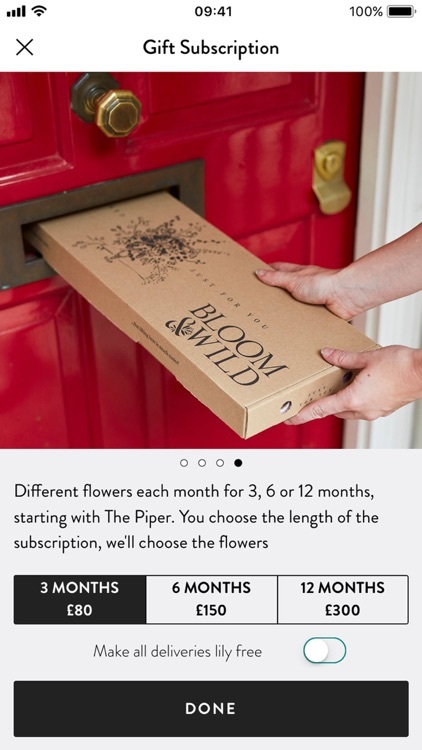 After you’ve ordered your flowers or gifts from Bloom & Wild using our handy super-speedy flower delivery app, we pick, hand-pack and deliver your flowers straight through the letterbox (or sometimes by hand if you’ve ordered a hand-tied bouquet) in our bespoke packaging. Individual stems are even netted for protection. Our boxes are designed to fit through standard UK letterboxes, so there’s no need for the recipient to be in to receive their delivery which means you don’t have to spoil the surprise by asking them to wait in. The flower bouquet arrives with styling suggestions from our Flower Team and tips on how to make the flowers last as long as possible. 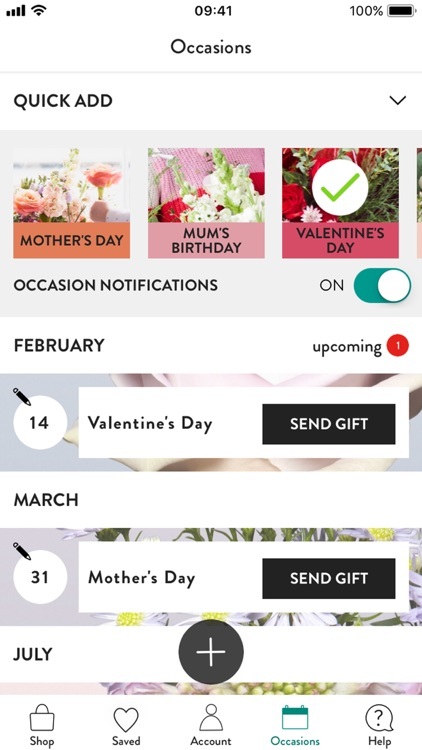 With free next-day flower and gift delivery across the UK and same-day delivery in Central London, you can send an unforgettable gift, even at the last minute. We deliver nationwide across Republic of Ireland, France and Germany too, so it’s now even easier to let friends and loved ones living overseas know that you’re missing them. 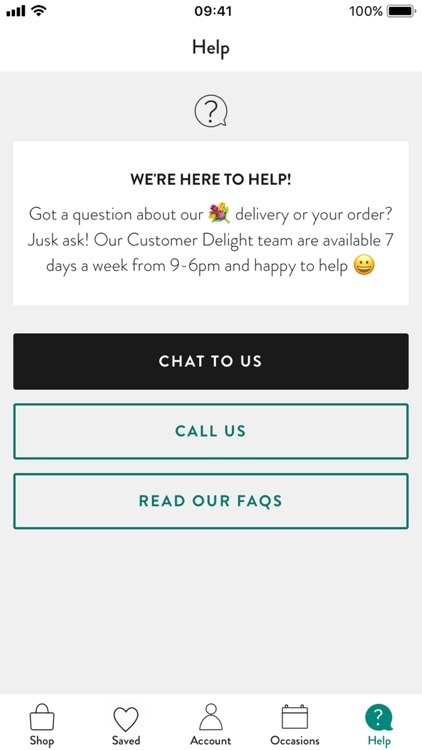 If you have any feedback for us on our app or on your flower delivery, we’d love to hear from you. 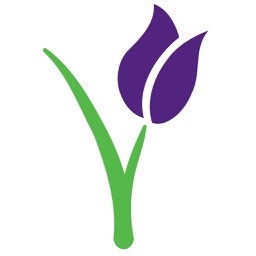 You can reach the Customer Delight team at [email protected] or call us on 020 7352 9499. 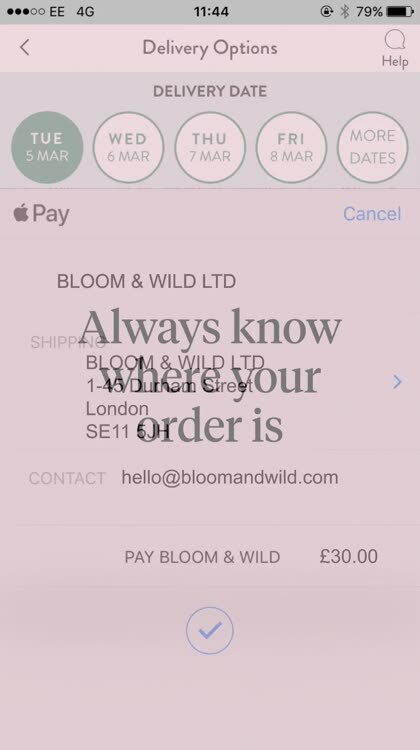 Already a fan of Bloom & Wild? 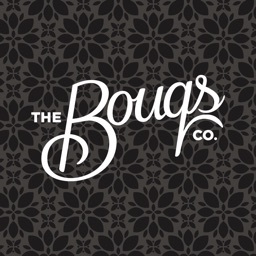 Please leave an app review, like us on Facebook, or follow us on Instagram and Twitter for the latest news and offers. 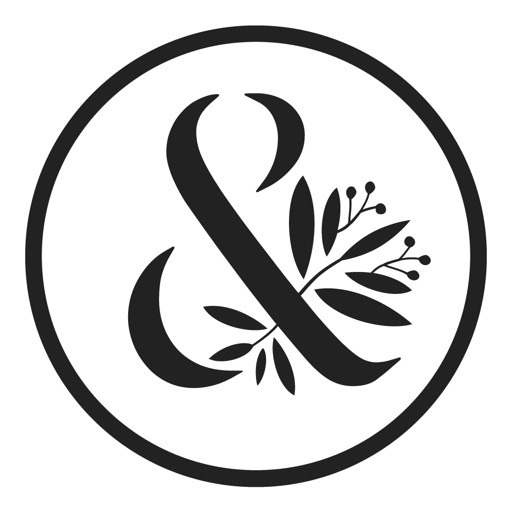 SHOP NOW FOR 15% OFF YOUR NEXT APP ORDER WITH CODE ‘APPONLY'. 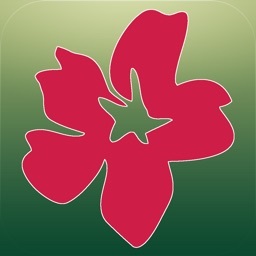 Bouqs: Fresh Flowers. Free Delivery. 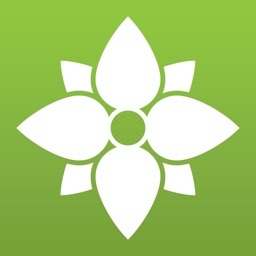 Farm Direct.